Geoweb awareness session 9th of December 2011 | "Work In Progress"
Thank you very much for attending our geoweb awareness session, and to those that weren’t able to make it. Here is a set of links I promised to send out. Each link is followed by a quick sentence or two explaining what the link represents. First a little introduction to the concept of geospacial technologies. Watch episode 1 and 2. This is a long link, to a 2D Google Map view with “Exeter University” as the active search term. This is a similar link, however, this time the campus is displayed in 3D, note the red dots are our points of interest (or POI’s). Since this might be the first time your computer has displayed Google Earth 3D content it will ask to install a small web plugin. This is available for Windows based PC’s and Macs running OSX. There is no Linux web plugin available (at the moment), but similar content can be viewed using the full version of the Google Earth software for Windows, Mac (OSX), and Linux. It has already been agreed to include the Google Earth web plugin in the next standard desktop build. To navigate in 3D space use a combination of the left mouse button to pan, and while holding down the middle mouse button (the scroll wheel) you will be able to change your 3D orientation. Use the scroll wheel to zoom in and out. These are the same POI’s hosted on the geoweb database started by Jamie Aylward. Jamie created this excellent map example. The Layar mobile application has a live link to these same POI’s. If a POI is updated in the database, that automatically updates the content within the layar application and the website! Our work has been featured on the Google Earth blog, avidly read by hundreds of thousands of people world wide that are interested in GeoSpacial technologies. One of our own webpages displays a custom map overlay, which can be easily created and embedded into your website using T4. Clicking on the view larger map link will show this result. Click on the red road to see a message about stocker road being closed. This is a 3D web view of the campus with all POI’s overlaid. These are dynamically displayed from the geo database. Now we are getting somewhere! This link displays several things. The Google Earth base layer, 3D building content, the dynamic database POI’s, and the static map overlay layer. A combination of static map overlays and dynamic POI’s offers great flexibility. Also the webpage is requested to generate a QR code for any link clicked on! An excellent example of other maps in use on our website. A very early example of the kiosk find your way around the campus page. Students will be able to explore buildings and have services highlighted geographically. Students and visitors could be directed to locations by scanning a QR code (as seen earlier) using their mobile phone. Smooth pans will be added from the previous view to the next building view, amongst other abilities. This is where you can help! The contents of the menu is a simple rough draft created to test the page, we would be delighted if you would like to contribute to the contents of this menu. We are attempting to model our work on the 3D campus map of Hackley School in America, getting as close to this as possible within the resources available to us. This was created by a talented team of Ex Google Engineers, artists, programmers, photographers, and probably cost a fair amount. It was built by a company called ‘Campus Bird’ in the US. 3D tours can be run from the menu, imagine a student or their parents being able to interact with a 3D tour for halls of residence and seeing links to accommodation and nearby facilities in town. Very similar maps created by the same company for Northeastern University and Blair Academy. Information on the London 3D project. Stanford University are using a free hosting service for their campus maps. It is possible to charge a small fee for the student to download campus guides that could be used without needing an internet connection. There is the possibility that guides could be self funding and existing content uploaded to everytrail. The Bristol online services survey results are an interesting read, detailing several geolocation services in the questionnaire. Fired up to make your own content? Try making your own static map, and take a look at some of the examples from one of our blog pages. Watch a video screencast of me demonstrating how to make a static map overlay and include it on your university website. The video should play on any modern computer. If you don’t have software installed to play mp4 video you will need to install quicktime or VLC player. This wonderful website will make a link to a map location as a QR code for you. Simply type a postcode, drag the POI, turn on show qr code, and copy the url onto your website. Instant mobile map reference! 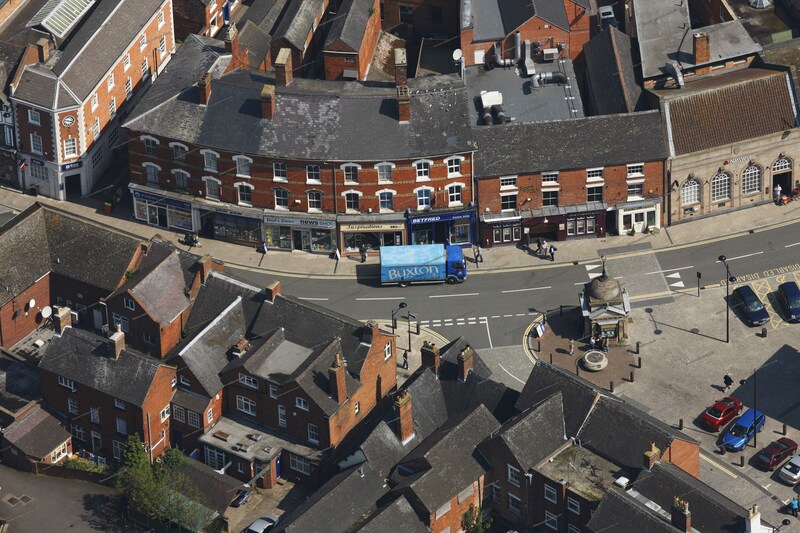 Some companies specialise in aerial photography, which involves taking 4 very high definition images of buildings. This imagery can be used for 3D artwork, planning, and marketing. This sort of imagery would massively speed up the process of creating 3D models. An example of a 21 megapixel image ready for use as a 3D texture source. Remember to zoom in! Find out more about the glue that holds this all together from our geolocation wiki, we’d be delighted if you left some comments for us. This link shows textured and untextured buildings together with QR codes and rich balloon content. Try clicking on the washington Singer POI for an interactive photo bubble and a multi platform location QR code!